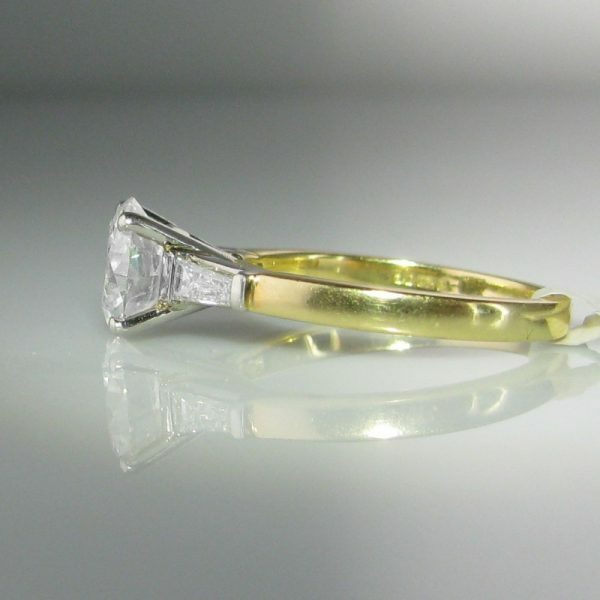 This superb diamond ring is set in 18k yellow gold and platinum. 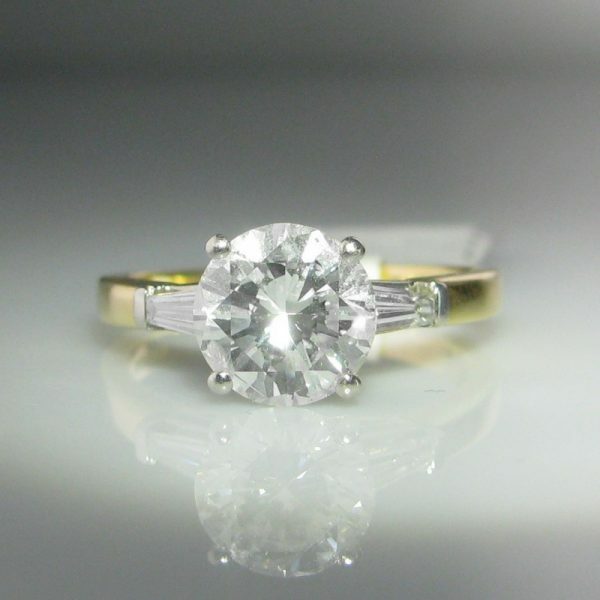 The round brilliant cut diamond is secured in a four claw setting. 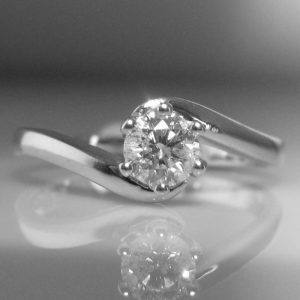 The central diamond is round brilliant cut and is set in a four claw setting. 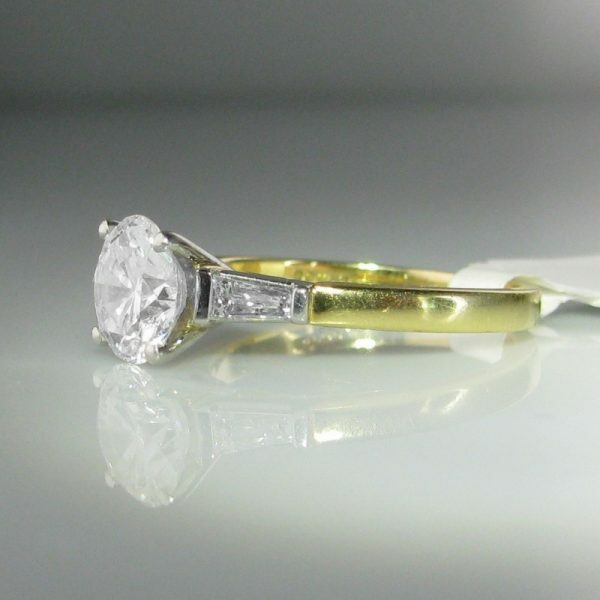 It is estimated at 1.62 carat weight, F/G Colour and SI clarity. 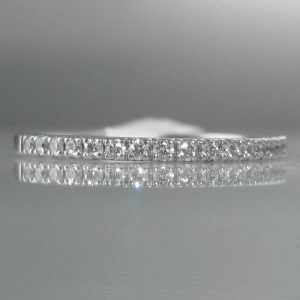 To either side of the central diamond are two well matched tapered baguette diamonds with an estimated total weight of 0.23 carat. 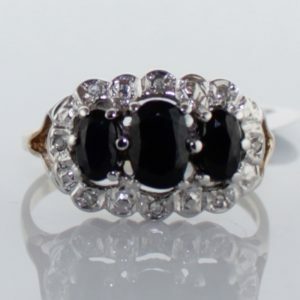 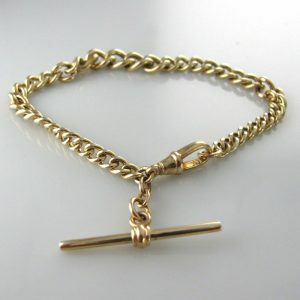 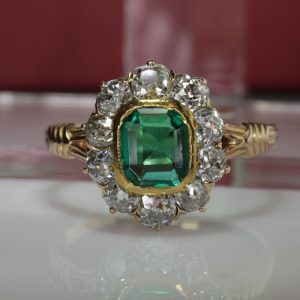 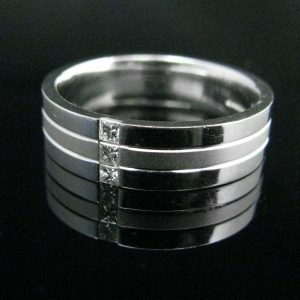 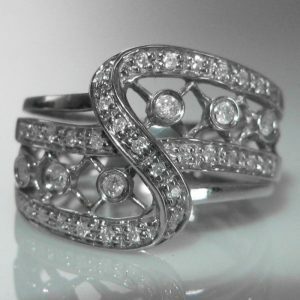 The ring is currently size ‘M’ but this can be resized up or down as required.